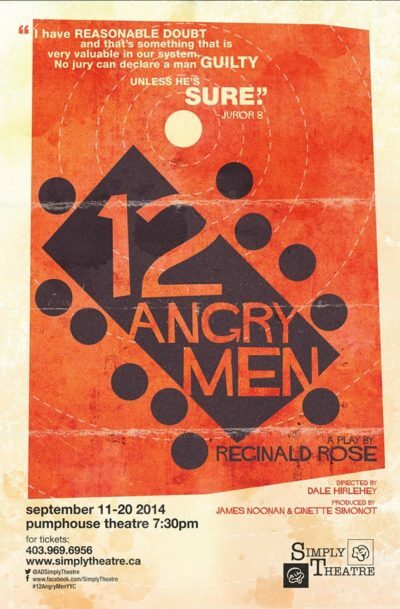 12 Angry Men, directed by Co-founder Dale Hirlehey, was Simply Theatre's first Calgary production. It received rave reviews and a nearly sold out run. What an incredible welcome to this fine city! We are so very proud and thankful to the people involved who brought it to life and of course our wonderful patrons. Thank you to all. Click here for photos of the show.